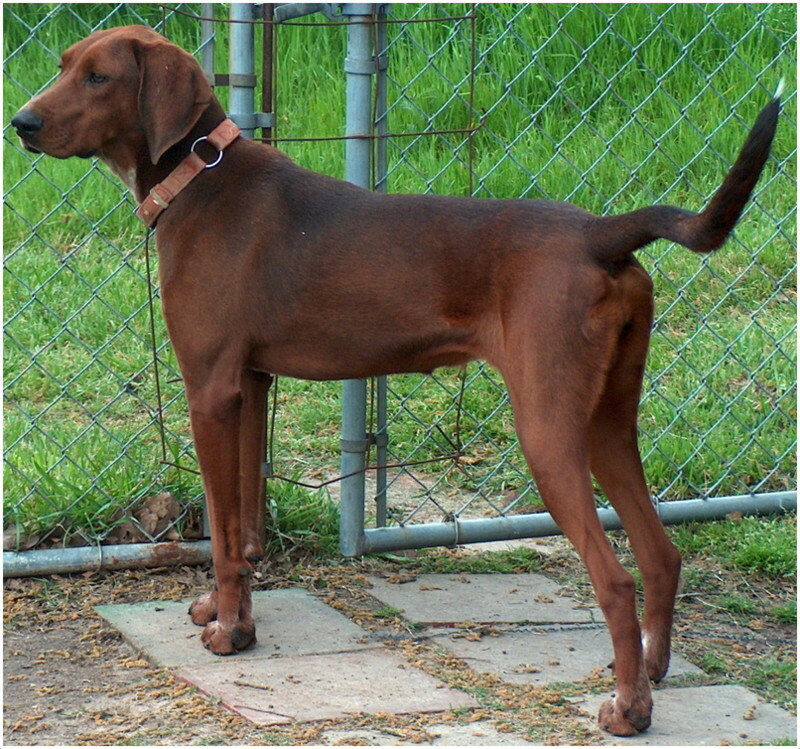 The Redbone Coonhound is basically a hunting dog. 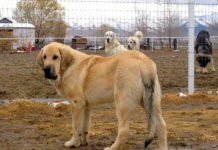 This breed is considered to be a pure breed which specializes in hunting bears, raccoons and cougars. They are fast runners and extremely agile. They are also very adaptable as they can hunt in all sorts of terrain from swamplands to mountains. As a house pet too, these dogs prove to be great companions because of their friendly, playful nature and loyalty towards their owners. 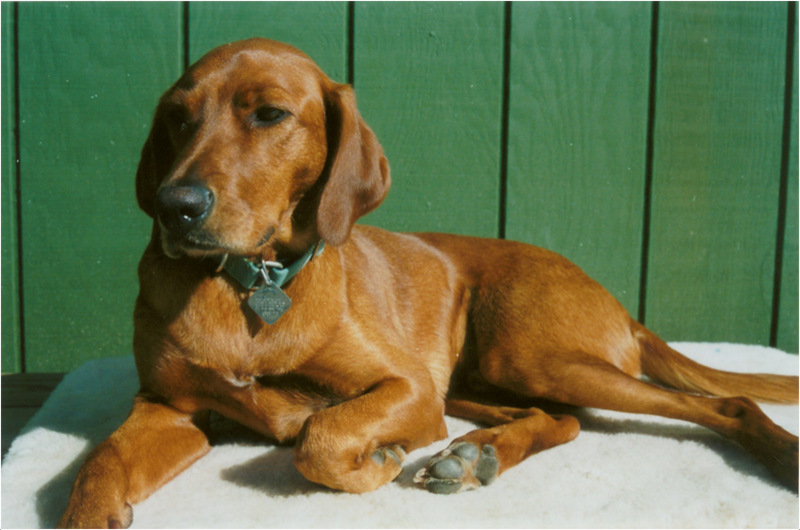 History – The Redbone Coonhound gets its name from Peter Redbone of Tennessee who is said to be the first breeder or this variety of dogs. 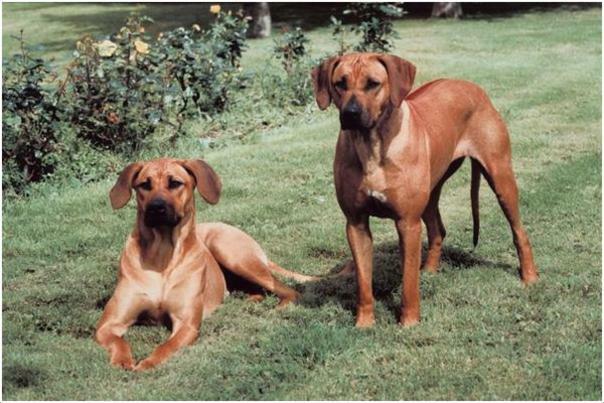 Apparently, in the late 18th century, red coloured foxhounds were brought to the American shores from Europe which was later cross bred with bloodhounds to give birth to this new variety of Redbone Coonhounds. 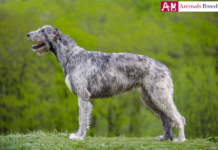 They were popular hunting dogs since they could take on even big animals like bears without any fear and could also tirelessly run on all kinds of terrain. 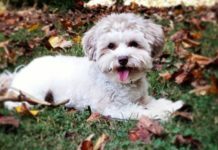 Health – These dogs are generally healthy but have been known to be prone to eye and ear infections. 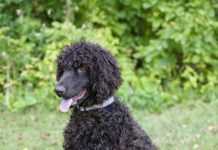 An eye condition called progressive retinal atrophy is quite common in this breed of dogs. It is also important to take special care that his ears remain clean and dry to prevent infections. 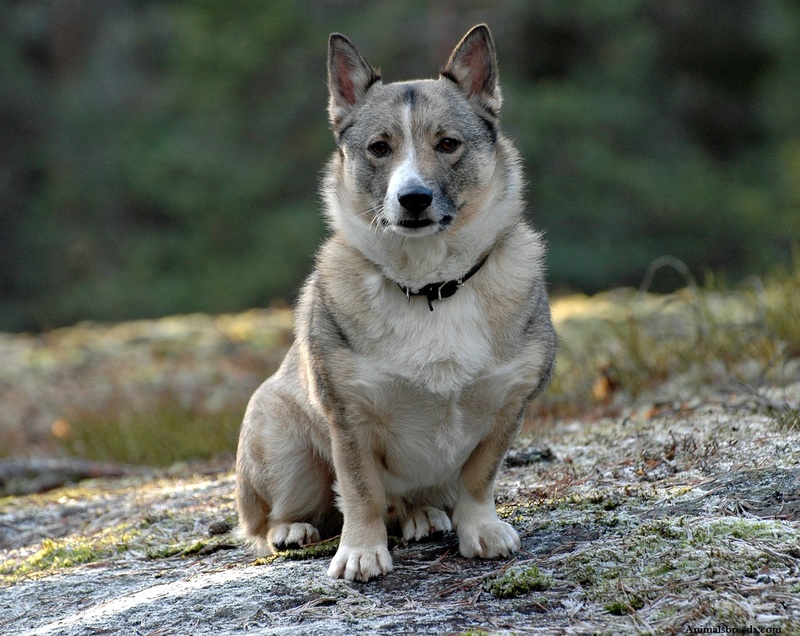 Also, these dogs tend to get obese really quickly if they are overfed which can lead to joint pains. 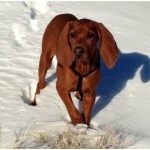 Personality – The Redbone Coonhound is an extremely friendly and playful dog. Not only is he very friendly towards humans but also towards other animals like dogs and even cats who may be house pets. They love to be around their family and are very energetic. 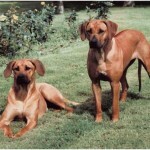 They are mellow and even-tempered dogs who are a great source of happiness for their owners. However, due to his hunting instincts he can chase off other animals apart from house pets that he is not familiar with. 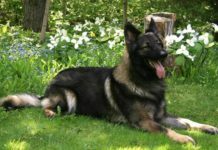 Activity Requirements – This breed of dog is extremely energetic and requires a lot of exercise. If they do not get enough exercise or do not get a space to play in, they can get bored and become destructive. 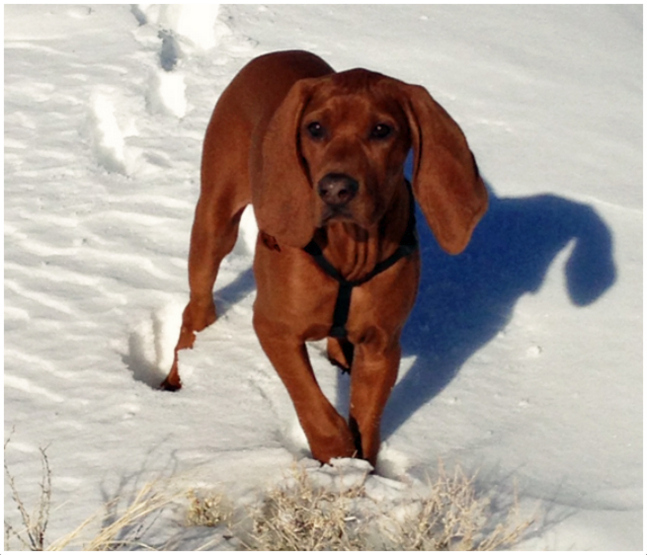 On the contrary, some Redbone Coonhounds love to stay indoors. However, they too should definitely be taken out on regular walks and jogs or they will easily get obese and develop medical problems. Trainability – They rank average on the point of trainability. 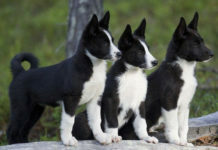 If they are trained as puppies, they can easily follow basic commands like sit, down, stay and come. However, they can sometimes get confused because of short attention span and simply choose not to follow instructions. 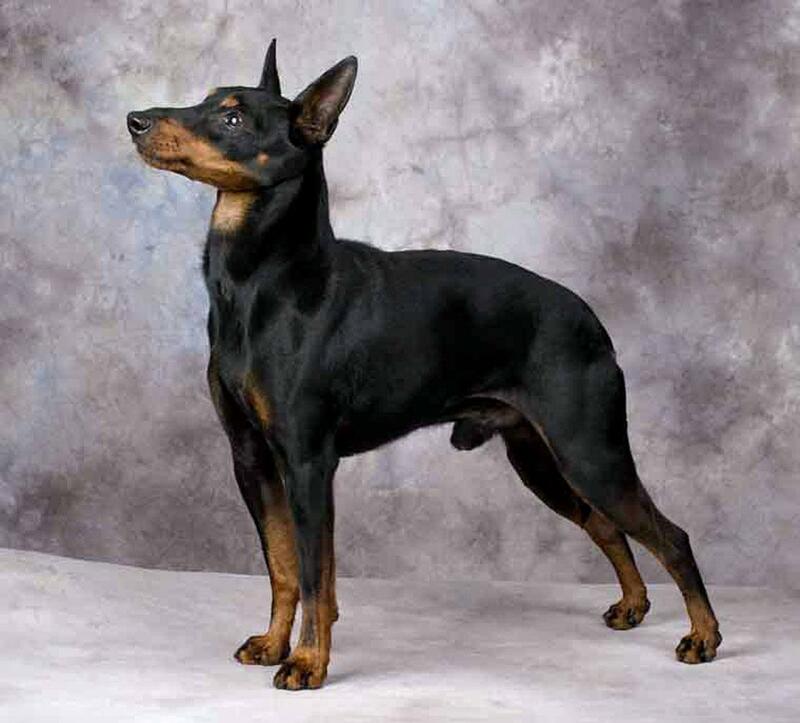 They tend to mature more slowly than other breeds of dogs and so training them also takes more time and patience. 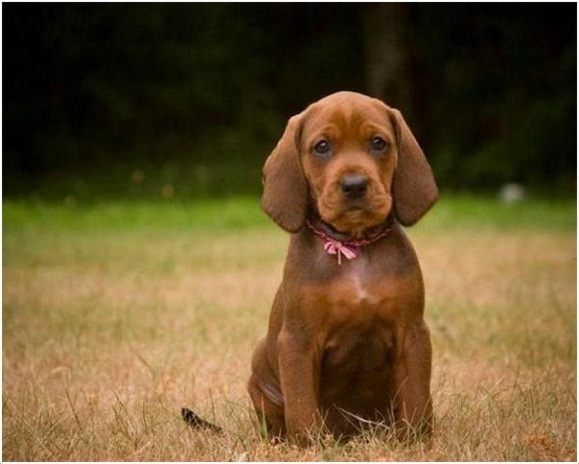 Behavioural Traits – The Redbone Coonhound is a highly energetic dog who loves to play with all living creatures whether it is humans or other animals. 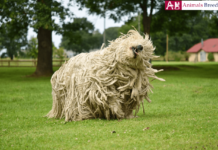 He also has a keen sense of smell and loves to follow it. There is also a tendency to chase other animals as if he is hunting them. He can get so absorbed in his hunting traits that he may even run off from home. 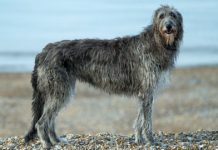 As is common with all energetic dogs, this breed too has a tendency to bark a lot which is not that big a problem unless he starts howling. His bark is deep and quite pleasant to the ears. 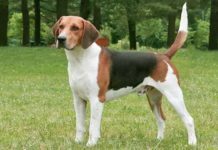 Appearance – Since he belongs to the Hound breed, he has all the physical traits of a typical hound, that is, well-muscled and lean body, glossy coat and very regal demeanour. 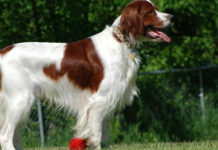 The colour of his coat is always a beautiful deep red and he has long floppy ears. He is a dog with eyes which are full of emotions and the expression on his face is often described as a ‘pleading dog’ expression. 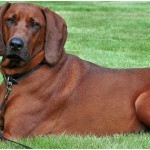 Size and Weight – The Redbone Coonhound is a medium sized dog of about 54-68 cms in height and weighing roughly around 20 to 30 kgs. 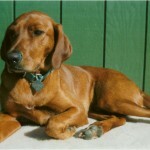 Coat and Colour – The Redbone Coonhound is one of the rare breeds of dogs which come in only one colour i.e. a deep red. They are not even spotted or speckled with any other colour but have only one single red colour running through their body. 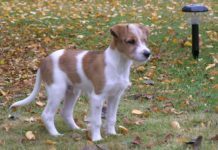 The coat is short and smooth, which is typical of the hound breed of dogs and is also weather resistant. 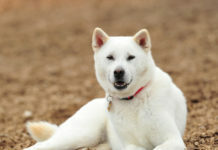 Grooming – It does not require excessive grooming except a weekly brush of the coat so as to keep it glossy and healthy. Body Type – It has a relatively well-proportioned body and is slightly higher on the shoulders as compared to the hips. They have thick pads on their feet which allow them to run through all kinds of hard ground without hurting themselves. They also generally have webbed toes. He is an extremely affectionate and playful dog. He is an excellent companion for kids. 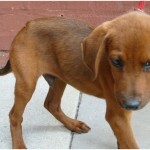 He is generally friendly towards other house pets with whom he has been brought up. He is very energetic and needs a lot of exercise daily. He has a tendency to bark a lot and can bring the house down with his howling. He is not an apartment-friendly dog and hates confined spaces. He is a very social dog and is friendly even towards strangers. He is very intelligent and great at solving problems and figuring out things. He does not require special grooming. He can tend to be lazy and can get obese. He has a short attention span which makes him slightly difficult to train. If they are not given proper exercise, sometimes they may choose to go hunting on their own which may spell disaster for your neighbours’ pets, especially if they have small furry animals like rabbits or hamsters. 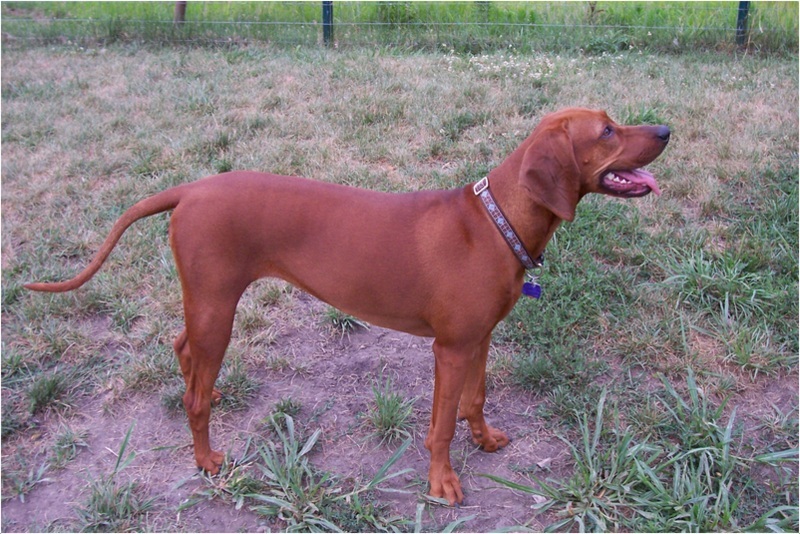 Redbone Coonhounds only require that they be given a big space in which they can run and jump and bound to their heart’s content. They also need a constant companion to play with them and are happiest when they are in the midst of a large number of people known to them. A daily meal for this dog should contain less than 10% fat and about 15-20% protein if they are not being used for hunting activities. If they are hunting, then the amount should be increased by fifty percent. 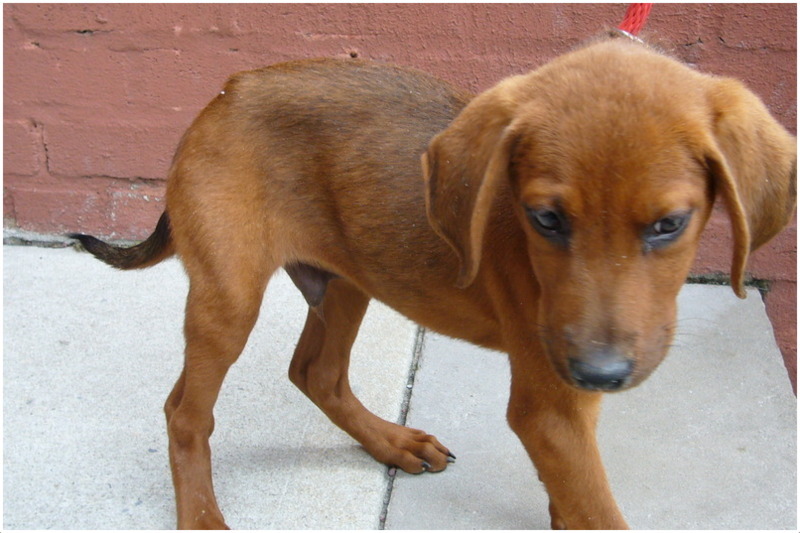 The full name of this dog is Redbone Coonhound. Another name by which it is knows as is Reds. Its origin is in the Southern United States. It falls in the category of medium sized dogs. 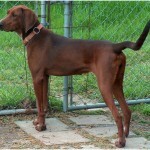 The Redbone Coonhound belongs to Hound Dogs Breed according to AKC and to Scenthounds Dog Breed according to UKC. It has an average lifespan of 11-12 years. 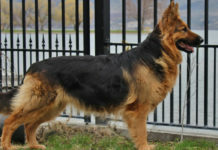 The height of a male dog is 56-68 cms, while that of a female dog is 53-66 cms. 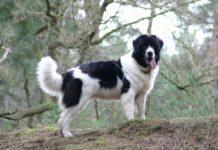 The weight of these dogs varies between 20 to 30 kg with male dogs being approximately 22.7-31.8 kg and females being 20.4-31.8 kgs. 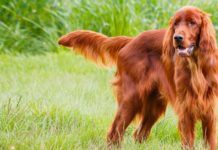 True to its name, this dog comes in only one colour, that is, deep red. 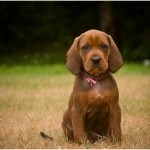 A Redbone Coonhound puppy can be bought for anywhere between $500 – $800. 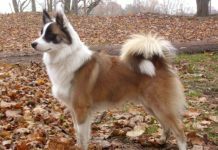 They are highly energetic dog and require much more exercise than an average dog. 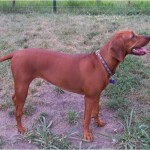 Redbone Coonhounds are one of the most attractive breeds of dogs and with their deep red coat, they look very majestic.